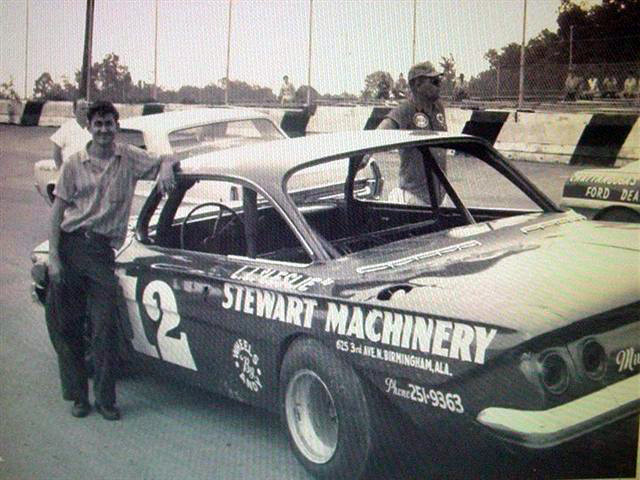 Below is a picture on Bobby Allison that was taken many years earlier. Bobby is standing next to his Late Model #12. I do not know the track or the year this picture was taken. It's such a neat picture, I just had to include it on the website. This photo of Bobby's 61 chev looks like the one he build in 1964 to use one the "mystery" engines he got from Junior Johnson. He build the car in a week just so he could use that engine. The photo looks like it might be from BIR in Birmingham. I currently live in Kansas but originally from Alabama. Those were truly the good ole days.